Each area at Maker Works has a selection of both traditional and computer-controlled tools. Click on the space below for a list of the major tools in each area. You'll also find items such as hand tools, glue, vises, and so on in each area, along with the major tools. Textiles, plastics, and more! Here's where to find our lasers, CNC embroidery machine, serger, vacuum formers, sewing machines, 3D printers, vinyl cutter, and heat presses. Traditional woodworking tools like a lathe, bandsaws, SawStop tablesaw, router table, jointer, planer, and sanders. Check out our computer-controlled ShopBot CNC router! Sheet metal tools such as the jump shear, magnetic brake, corner notcher. Three lathes (up to 18"x54"). Bridgeport mill, Tormach CNC Mill, MIG, TIG, and spot welding, CNC plasma cutter, Iron worker. Tools for soldering, assembling, testing, and repairing electronics. 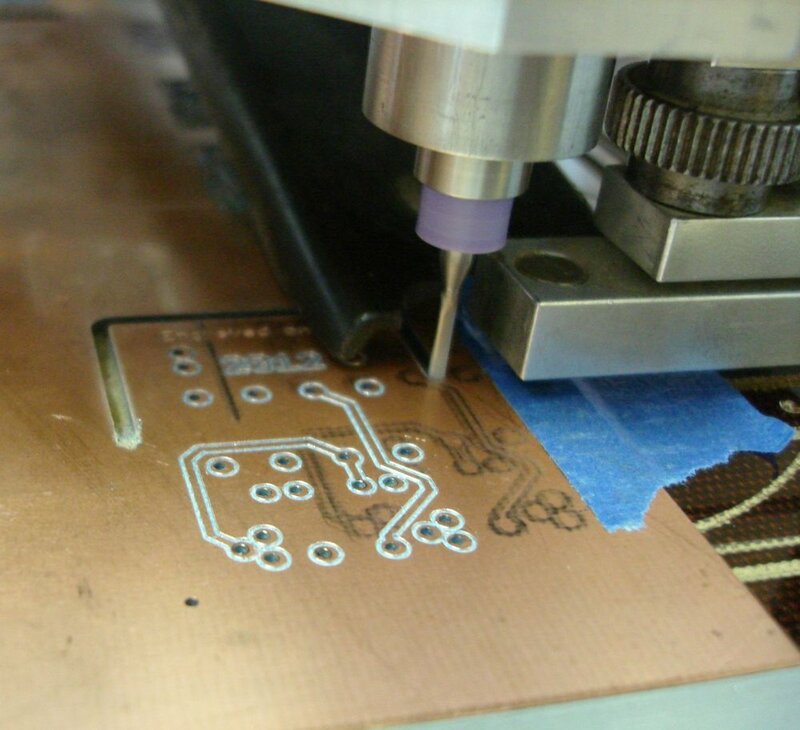 Make your own prototype printed circuit boards with our PCB engraver. Kiln, oxy-acetylene jewelry torch, centrifugal casting machine, CNC milling machine, rolling mill, Foredom rotary tool, hydraulic press. Great for lost-wax investment casting and many other jewelry processes. Graphic art, CAD, and CAM: Corel Draw, Inkscape, Illustrator, Fusion 360, Solidworks, SheetCam, MeshCAM, etc.